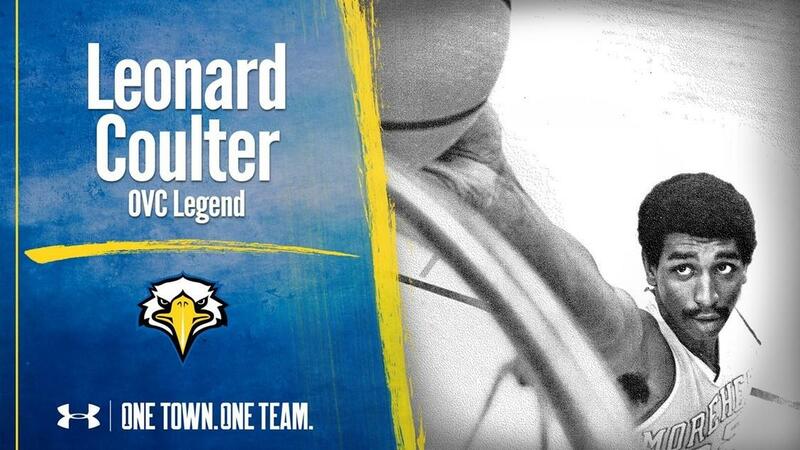 As part of the Ohio Valley Conference Legends program, former Morehead State great Leonard Coulter is among this year's list of 12 honorees. The OVC began a new tradition in 2015 with the recognizing of men's and women's basketball legends from each of its member institutions. With roots dating back to 1948, the OVC and its member institutions have produced many outstanding student-athletes who have earned numerous accolades and led their respective schools to success on the hardwood. Each OVC member institution identified a legend to be honored through signage and announcements at this year's basketball championship. Each additional year a new group of 12 legends are honored. Coulter earned All-American honors in 1972 after leading Morehead State in scoring with 24.1 points and 14.2 rebounds per game. He earned First-Team All-OVC honors all three years at MSU while leading the team in scoring and rebounding. He is a member of the 1,000 point club (1,781) and is also a member of the top-20 rebounding list (961). His career best performance in scoring came against Tennessee Tech during the 1971-72 season when he dropped in 42 on them. In his three years at MSU, the Eagles tallied 38 OVC wins with only 14 losses, and he led his teams to the share of the OVC title in 1972 and again in 1974. He was inducted into the MSU Hall of Fame in 1985.